As promised, today I’m sharing another side dish that you can serve during the holidays that we celebrate in November and December. 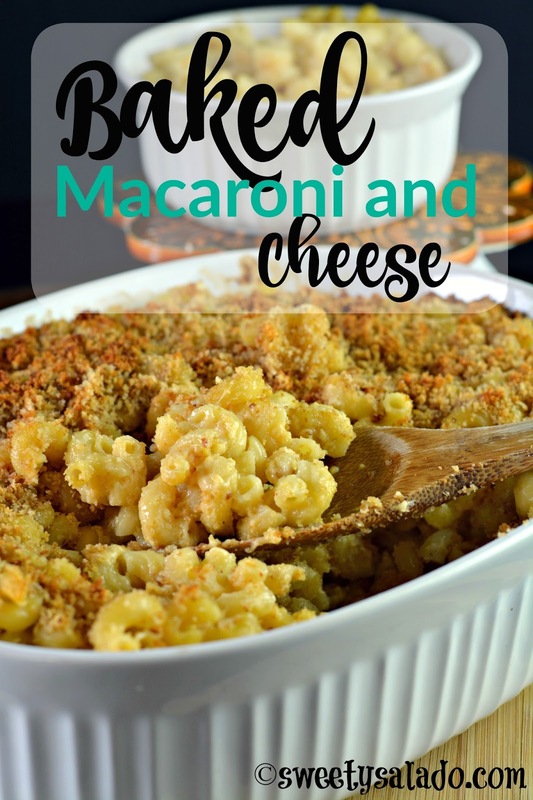 I have to be honest and say that macaroni and cheese was not one of my favorites until a few years ago, and the reason is obvious, because we never grew up eating it. I gave it one last chance when I saw that my niece just devoured it, and of course, because they’re just pure pasta and also because they are loaded with cheese. And now I have to say that I love it, especially when I make it with the recipe I’m sharing with you today. I want to be clear that you don’t have to finish this dish in the oven. I know that several of you have told me that you don’t have an oven at home and that’s why I want to let you know that you can serve it as soon as you mix the pasta with the cheese sauce, and it comes out just as delicious. You also don’t have to use the same kind of cheese that I’m using in this recipe, but I do want to recommend you use a good cheddar cheese because it tends to be a bit stronger and that’s going to give your pasta a lot of flavor. Pre-heat oven to 400ºF (204ºC) if you decide to bake the macaroni. Bring a large pot of salted water to a boil. Add macaroni and cook according to the instructions on the package. About 8 minutes or until al dente. Drain and set aside. In a large pan, melt ¼ cup butter over medium heat. Once it's melted, add the flour and stir until it's smooth and pale yellow. Now, slowly add the milk and keep stirring until it simmers. Season with salt, pepper, nutmeg and cayenne. Turn the heat off and add the grated cheeses. Stir until they are melted. 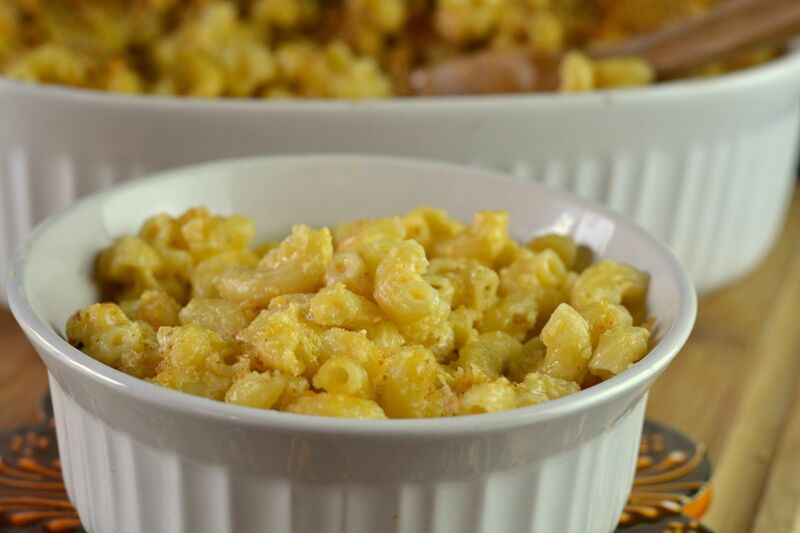 Place the macaroni in a large casserole dish. Pour in the cheese mixture and stir until well combined. You can immediately serve it at this point. If you decide to bake it, combine the bread crumbs with the 2 tbsp of butter and sprinkle them on top of the macaroni. Bake for 20 minutes or until the bread crumbs are golden brown. Serve immediately.